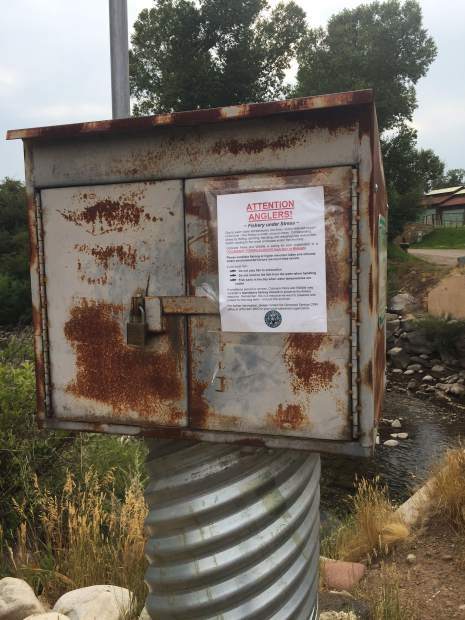 This note to anglers from Colorado Parks and Wildlife is posted on the river gage near the state fish hatchery. Because of low flows and warm temperatures on the lower Crystal, anglers are asked to not fish between 2 p.m. and midnight. Sprinklers irrigate land on the east side of the Crystal River (in foreground), which is facing one of its driest years in recent history. Low flows on the Crystal have spurred action from the state, including curtailment and a call for instream flows. The lower Crystal River was running at 8 cfs near the state fish hatchery on Friday. Lows flows on the Crystal have spurred action from the state, including curtailment and a call for instream flows. Cows graze near the Crystal River, just upstream from the fish hatchery. The Crystal just downstream was running at around 8 cfs on Friday, spurring action by state officials. number or zero can water on even-numbered days of the month. Properties with an address that ends in an odd number can water on odd-numbered days of the month. • No draining and refilling of swimming pools, hot tubs, spas or the like. Water may be added to replenish evaporative losses, but they cannot be drained and refilled. • No washing of privately owned cars, other motor vehicles, trailers or boats except from a bucket. A hose equipped with a positive shut-off nozzle may be used for a quick rinse. • No washing of sidewalks, driveways parking areas, tennis courts, patios or other paved areas. • Irrigation systems in homeowners associations or other large systems that irrigate multiple properties are not subject to the odd/even restriction provided that the irrigation system does not irrigate the same piece of property more frequently than once every other day, or alternatively, they reduce their usage by 50 percent daily. • Drip irrigation is not subject to the odd/even restrictions. • Outside watering with a handheld container is permitted daily. • Commercial car washes are not affected by the restrictions at this time. The town expects river levels to continue to decline which, in turn, may result in lower ditch flows than normal. 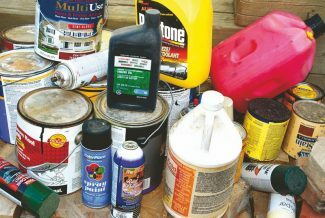 Ditch users should be aware of this potential and take appropriate measures with their equipment. Typically, during irrigation season, flows in the Crystal River are lowest in September and October. With the current drought conditions prevalent across the western part of Colorado, it is likely that that water supplies will continue to dwindle throughout the fall. Adherence to the above-listed restrictions will help delay the need for more stringent restrictions and help ensure that the town is able to provide potable water for domestic use and fire suppression throughout this unusually dry time. Failure to adhere to these restrictions may result in the declaration of a “Water Crisis” which, among other things, would prohibit all outdoor irrigation. 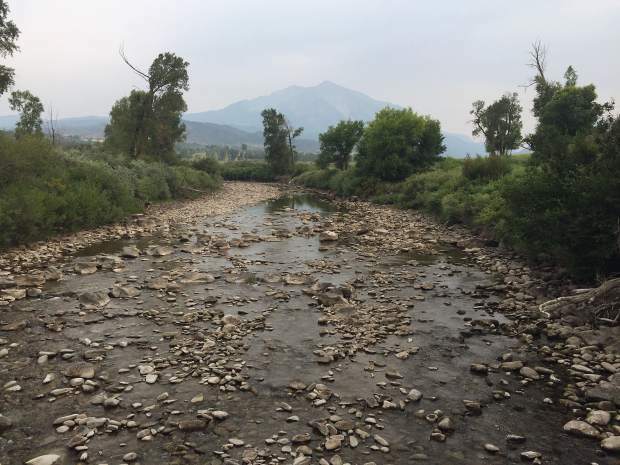 Extremely low flows on the Crystal River near Carbondale have led to action by state officials, including turning down a diverter’s headgate and placing a call for water. 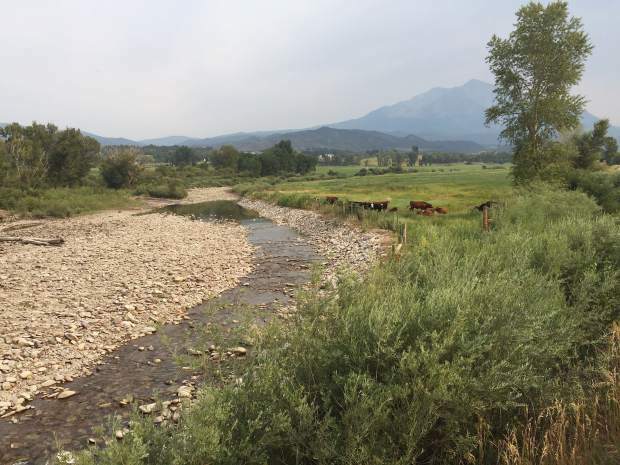 On Friday, the Colorado Water Conservation Board placed a “call” on the Crystal River, asking Division of Water Resources officials to administer an instream flow right on the river. The CWCB has an instream flow right on the Crystal for 100 cubic feet per second between Avalanche Creek and the confluence with the Roaring Fork River from June 1 through Sept. 30 each year. The CWCB used the river gage near the state fish hatchery outside Carbondale to determine that flow conditions were too low. As of Friday morning, the Crystal at that location was running at roughly 8.8 cfs. Instream flow rights are owned and used by the state to help preserve and protect the natural environment, ecosystems and aquatic life, especially fish. 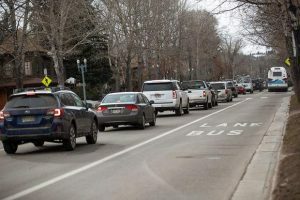 These rights, however, are junior to most agricultural and municipal rights in Colorado, which means the call may not do much to leave more water in the Crystal. The CWCB’s right on the Crystal dates to 1975. The goal, Bassi said, is to make sure future augmentation plans take into account instream flow rights. Not having enough water in the lower Crystal River has been a concern in recent years. The 2012 drought left a section of the Crystal between Thompson Creek and the state fish hatchery dry during the late summer irrigation season. Several large diversions, including town of Carbondale ditches, are located on that section. 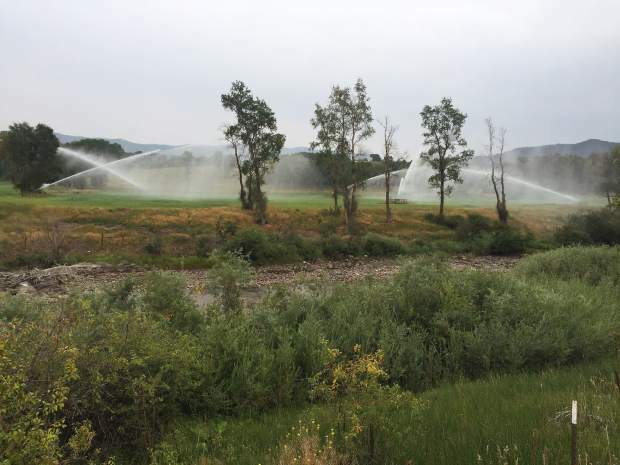 In response to the dire situation, the town last week imposed watering restrictions, requiring an every other day watering schedule and limiting outdoor water use. This year conditions are approaching a similarly dry state, despite a goal of the 2016 Crystal River Management Plan to leave an additional 10 to 25 cfs in the river during moderate drought. On July 23, amid rapidly dropping flows on the Crystal, District 38 Water Commissioner Jake DeWolfe made the decision to turn down the headgate of the Lowline Ditch. The diversion point for the Lowline is located on the Crystal River just north of the KOA campground, and has two water rights: one from 1902 for 19 cfs and one from 1936 for 21.5 cfs. The ditch irrigates land on the west side of Highway 133 roughly between River Valley Ranch Golf Club and Sustainable Settings. At issue was a “tail ditch,” which is used to return water to the stream after it is used for irrigation. The amount of water in a tail ditch can vary during the irrigation season, but if irrigators are being efficient, in theory, not much water should be returned to the stream. DeWolf said they first turned the Lowline’s headgate down by about five cfs on July 23, then again the next day for a total reduction of about eight cfs. 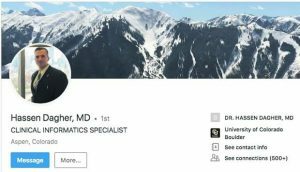 The problem, Wolfe said, was not that the Lowline was diverting more than its decreed amount of 40.5 cfs; in fact it was diverting slightly less. The problem was that the Lowline Ditch was violating the newly implemented state guidelines regarding wasting water. An internal guide to understanding waste, approved in June 2017 by the Colorado Division of Water Resources, defines “waste” as diverting water when not needed for beneficial use or running more water than is reasonably needed for application to beneficial use. So how much is too much water in a tail ditch? 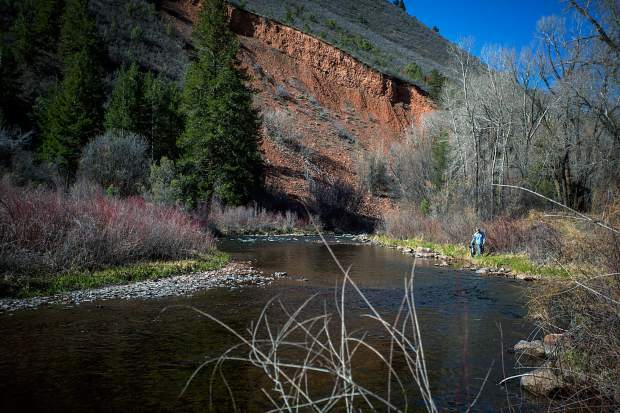 These new guidelines are a departure from the age-old Colorado water law doctrine of “use it or lose it,” which encourages water users to divert their full decreed amount, lest their water right be considered abandoned. “With our new direction, [curtailment] is becoming more common,” DeWolfe said. Because of diminishing flows on the Crystal, Wolfe said the Lowline Ditch was diverting roughly half the volume it was running at after it was curtailed on July 23, which was about 19 cfs as of Friday. But in a dry year like 2018, the Crystal River flows, not the state, will dictate if and how much diverters can take. There is so little water, in some cases senior water rights holders are having trouble getting enough water into their headgates, DeWolf said. “There might be some ground to go unirrigated in this second cutting,” he said. 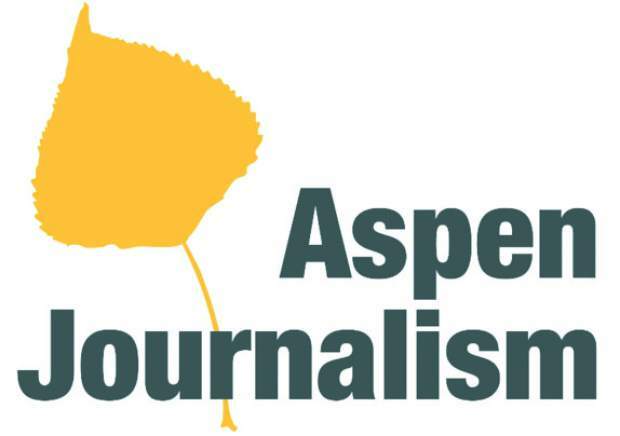 Editor’s note: Aspen Journalism is collaborating with the Glenwood Springs Post Independent and The Aspen Times on coverage of water and rivers. For more information, go to aspenjournalism.com.